(CNS): Government is issuing a warning to the local business community that they need to pay their Trade & Business licenses otherwise they are operating illegally. The Department of Investment and Commerce said Thursday that the board had identified a number of outstanding company licensing fees for 2010 and that is a criminal offence, liable to prosecution, to be trading without one. Anyone convicted can be fined up to $5,000 or serve 12 months in jail. The DCI secretariat said it intends to take action against those not complying with the law. CNS asked the DCI how many licenses had not been paid but the department said it was unable to supply that figure. There are at least 4,000 licenses registered with the Trade & Business board. The office could not say what percentage were outstanding but said there were concerns that people were not paying the fees due for last year. “The Trade and Business Licensing Board is currently consolidating all outstanding payments for 2010/ 2011 and reminding all licensees that it is an offence to operate without a valid Trade & Business License,” the DCI said in a release Thursday. In May this year the Department of Commerce and Investment announced the Trade and Business License Board, which moved to that department from immigration last year, had addressed the backlog of applications and was up to date. Having introduced more efficient methods for processing applications, DCI Head of Business Licensing Ryan Rajkumarsingh said significant progress had been made. “We have made small but significant changes to the handling and processing of applications and the results are such that from January to March this year alone, a total of 1,593 decisions were made by the Board, 232 of which related to new issues, 1,266 to renewals and 9 to local companies control grants,” he revealed, adding that turnaround time had been reduced by as much as 40 percent. Board Chairman, Garth Arch, said all the board members were extremely pleased with the enhancements to the system and was confident that the changes were working. “In spite of the fact that we review more applications at each sitting, the board now meets every two weeks instead of weekly, we get through them far more efficiently as we have more consolidated documents to go through,” he added. With the improvements allowing the board to deal more efficiently with those complying with the law, the board appears to be in a position to turn its attention to those who are not. The DCI will also be hosting a workshop on the T&B law next Thursday (14 July) The class costs $10 in advance or $15 on the day and will be hosted by the deputy chair of the board Lynn Bodden. I prefer the unlicensed one – cheaper and you can stick to the Man at the same time. Oh well, I suppose making me pay is fine as long as they don't start investigating me for fronting? I mean, what would they do then if they discovered that various officials and lawyers knew I was operating illegally and not only did nothing but some even helped me? In addition to supporting the voices in the comments of those making the point that those companies who pay T&B licences and comply wit other laws and regulations (eg immigration, health insurance, pensions), I'd like to suggest something very simple to ensure compliance. Have CIMA require all local Class A banks do ANNUAL compliance checks on local businesses. No local bank will allow a business to open a bank account without a valid T&B licence, but they don't then check to make sure they have a valid one on an annual basis. I would think that very few businesses would forget to renew their T&B licence if their bank required it to be current in order to continue to use their bank accounts. This could also be easily extended to include having to have an annual simple compliance certificate from an approved pension plan, on medical insurance etc. Sometimes ideas can be simple. Fully agree, but even simpler, cut them off from workpermits unless compliant with T&B and Pensions and Health insurance. Then you will see how many of those bigger well known companies disappeared. As most of the times they are the ones in violation; but the public quick to point finger at the "small man". Really, the big companies are in violation??? If you could provide some examples that would be great, or is this just what you heard? If you are correct they should be named and CNS could do a story on it, but I think you will find it is not the big operators… I wait to be corrected. While they are concentrating on collecting fees, why not look into the illigal trading going on with the human trafficking from Santo Domingo, DR and other close by countries. These so called small businesses are bringing these women hereon the pretense of having legit work for them, but in fact have them here for their personal use. That definitely needs to be closelyy monitored by them and Immigration. We need to straighten up? Isn't this the same governmet that hands out business licences to shops so that they can openly sell and rent pirated DVDs in violation of international and UK copyright laws? Isn't this the same government that profits off hiding/holding money for the world's tax evading/avoiding corporations, slimeballs, and dicators? I guess "He hath founded it upon the seas" has been retired. Our new government motto: "Do as I say, not as I do." Is this another feeble attempt to appear to be conducting "good governance"??? Is this another attempt to get as much money in the form of "revenue" so that it can be SLUSHED away, unknown of its destiny, with no fianancial record keeping???? Why don't the Govt. focus on those whom have the largest outstanding bills owed to the country's public purse such as the custom duty fees that the Micheal Ryan still owes. (CNS please insert your news article here on this please). These times are very difficult for people right now. So if this Govt things that bringing the hammer down harder on people trying to survive instead of offering them to come in and do a payment plan on a weekly basis over several weeks etc until the fee is paid in full that would make more sense than to threatening to charge people for money they don't have, and jail time, the prison is already full. Many persons are quite aware that these tactics are only blown out of proportion when someone in power is trying to put pressure a small business. Because someone with some power in some dept. or amoung the elected wants to get rid of someone or their business or both. I am all for people paying their license fees, but why is itthat the same does not apply to the buddies of politicians who get indefinite [read as long as the buddy is in power] "deferrals" on millions of dollars in customs duties? Like many of us are asking more and more these days – who benefits – cui bono? would you get on the flight to miami if the plane had no markings, no insurance, no legal certification enabling them to operate? no you wouldnt……. the best way to tackle all of this is to make it illegal to actually trade with unlicensed vendors……in other words, if you hire a carpenter, have him show you his current T&B BEFORE you contract him…..otherwise you are liable for a fine as well as he……..granted, enforcing this will be challenging…but its a start! Why should or anyone assume that because a business is trading from a van or a road side jerk stand they are illegal. That is problem with Cayman, we are quick to jump on those who are not living it like the "Jones", we think because it is located in a certain place makes it lega or illegal. Maybe you should take the time and conduct your own investigation then you would find out who are the real offenders my friend. Because the man in the van or the woman operating the road side jerk stand as you put, know that there are persons like you out there who will be quick to point fingers at them; therefore they ensure that they have everything in order, ask DEH how rigirious it is for thes operations to get started, view their guidelines. Then asked your bigshot companies to show you their records – you will be shock. If you have the time ask the Pensions Inspector for the names of those in violations of paying pensions; i guarantee you my friend it will be your bigshot companies. Leave the small man alone, most of them are in compliant; cause they know they will be targeted, can't afford expensive lawyer fees, and have no politcal connections – so they can't make a phone call or arrange wine/dine meeting. Sure, put pressure on the small businesses to pay but allow people like Michael Ryan to get away with milions of dollars in payments year after year. Where is this government priority? There is a reason why some and I say "some" of these businesses are not paying and it's because they just can't afford it. How about reducing or waiving some of these fees so that businesses can at least feel they can survive . Small business are dying every day . They never get or even ask for concessions yet we allow these so called investors to get all of these concessions, never pay them back and make a fortune so they live like kings and we are left to struggle to keep the government and the country afloat. Maybe the Status and Permanent Residency Board should also clean house and do something about all the persons benefiting from Residency and Status who have not paid their fees. Do something like shut down their businesses and or the businesses of those who employ them and prosecute them and or deport them. Trust me….there are enough of them to help reduce the national deficit. Permanent Residency Fees are illegal. Think of it as an affordable instalment plan for the fees you would otherwise have to pay up front. Does that make you feel better? If the T. & B. license is not paid for 2010 how can work permits be granted for 2010 to 2011. These have to be paid for yearly. Does this mean that work permit are also not being paid yearly? If our Gov. inforced the laws eg. 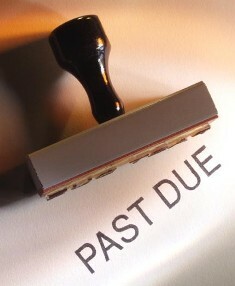 you you don't pay your fees the business license is void after the due date. There is not enough inforcement being carried out. Maybe not a good time to be putting pressure on small businesses they are under enough pressure at this time just trying to survive. If you push these people out of business people are going to lose jobs and this will just make our position worse. The Horse has broken free from the cart. This is just another item in a long list. Maybe we should feel sorry for the Horse cuase the cart too heavy? Government also needs to inspect the qaulity of the work that these ' fly by night ' people, who dont have T and B licences, are doing . They are stealing work from the legitimate companies who have to charge more because of health ins, pension T and B license etc. Don't bother to inspect the work… just fine em and make em get licensed or get stop practicing. Seems like a simple task if they just sent out bills and forced closure of those businesses that do not comply? Well hats off to the DCI department for trying to get their house in order. At least thats a good start. Business owners need to honour their contract with the government and pay the respective fees. People make a bit big deal about the fees, the procedures and the process. But ignorance of the law is no excuse as the rules and regulations are clearly laid on on the Government webite. Once again, great job DCI. The Trade and Business Licensing Secretariat needs to take the necessary action asap. Otherwise, they are aiding these Companies that are delinquent with their T&B license fees to continue to be in breach of the Law. Have any notices been sent out to all the Millionaires here who owe this country millions of dollars? Excellent point! Apparently if you are a multi-millionaire/billionaire different rules apply. "CNS asked the DCI how many licenses had not been paid but the department said it was unable to supply that figure." Did you guys seriously think that they were actually going to tell you?? OF COURSE THEY KNOW how many businesses didn't renew their licenses….HELLO, it's called a computer database….but if they actually published that, then everyone would know how incompetent and lazy they are..sheesh…let me put it another way…if they DIDN'T know how many licenses were outstanding, then HOW WOULD they know if a business DIDN'T renew?? All this talk about "Planning to take action"…that's all ANYONE in CI GOV does…. "Plan"…nothing ever gets put into action…NO ONE EVER gets prosecuted…. Also, if they published the list, some of the companies might be embarrassed enough to pay and we could all choose to not patronise those businesses.